Mrs Abiola Adebola is our EduCeleb of the Week. She is a widely experienced education consultant and founder of Educ8tors Dose. In this interview with ABDUSSALAM AMOO, she shares her thoughts on reforming the Nigerian education system. My name is Abiola Adebola. I’m happily married. I’m educationist with twenty years teaching experience. I had my NCE in Accounting from Osun State College of Education, my Bachelor’s Degree from Ekiti State University and a Master’s Degree in view. As a teacher, I have served in different capacities. I have been a Head of Department (HOD) in two different schools, an Head Teacher at two different schools, an Examiner with the West African Examinations Council (WAEC) and a school administrator. Presently, I am the founder and lead consultant with Educ8tors Dose. Educ8tors Dose is an educational consulting firm. We are committed and focused on advancing high educational research, teachers training, school improvement and the use of technology to advanced learning. It started as a platform that provides relevant information for educators to operate at a higher level in line with global best practices. What has been the success story of Educ8tors Dose so far? Educ8tors Dose has gone beyond a social media platform. It has become a separate entity and has now been registered under the Corporate Affairs Commission (CAC). We, at Educ8tors Dose, were able to do in-school training for primary and secondary school teachers during the last summer break in about 25 schools. Through these, we were able to train about three hundred teachers in the process. Our website will soon be available online. What are the challenges of running an educational consultancy firm like yours? Converting my idea from conceptualisation to reality is a challenge, I must confess. Like we all know, every business has hurdles to jump and puzzles to solve. Every consultant is a true reflection of their company. So, if I want Educ8tors Dose to move to the level I want it to be, I have to do something I’ve not done before. As an experienced teacher, what would you say is the problem with the Nigerian education system? The state of the education system of Nigeria, I must say, has become worrisome. Looking at it, it is a problem of both policy and implementation. With respect to policy, there is inconsistency in the Nigerian education policy, which is affecting our education system. With respect to implementation, looking at our budget in 2017, the Nigerian education sector received lower than the 26% of the budget recommended by UNESCO. If you look at it, the allocation to education in the budget is about 6% of the 7.30 trillion naira, contrary to the recommendation by UNESCO. 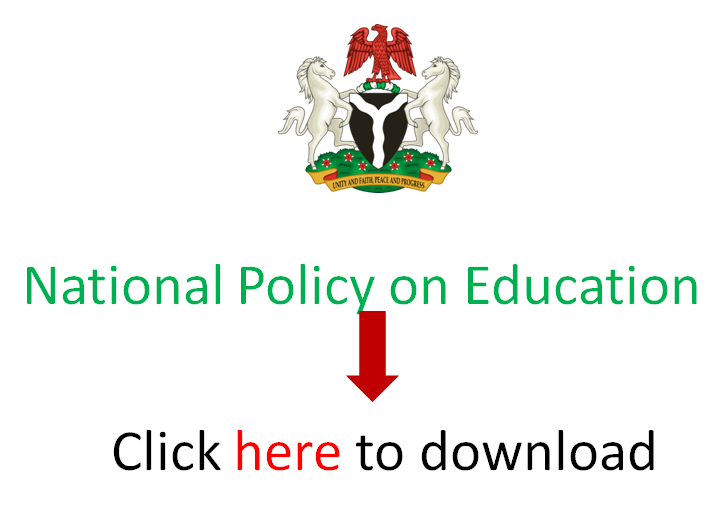 You can see that both policy and implementation are affecting Nigeria’s education system. (Cuts in) I didn’t say it is bad. There is inconsistency. Do these inconsistencies account for why Nigerians have not been able to compete globally? Yes, that is why many Nigerians are not able to compete globally. If you look at it presently, Nigeria is making use of a subject-based curriculum, which restricts our children when we talk about creativity and innovation. In other countries, they build their curriculum is such a way that suits their system. I want to believe that for Nigeria to be able to compete with other countries, if we can sit down and build our own curriculum, it will go a long way to help out. Who is to blame for students’ poor performance? I won’t play the blame game. Parents, teachers and learners are responsible (for how students perform). But I must say that teachers are doing a great job. However, teachers can be responsible. If we have a teacher that is lazy, static, redundant and not open to learning while trying to do the same thing the same way and expecting a different result, the learner would be affected. With respect to the students, some students can sometimes be the cause. That is when they don’t play their role. Students get home and unlearn what they have been taught. That is why the teacher must try as much as possible from time to time to evaluate their learners, so as to get a feedback from them and know where the lapses are. They should be able to work on it. From parents, we have so many parents today that are engaged with lots of activities. They don’t have time to follow-up on their children at home. They don’t bother to evaluate them academically. You even see some parents that would say “Don’t give my child home work. I don’t have time”, which is not too good. If parents play their roles, it would go a long way to help the learners. Lots of teachers are very crude with their methods of teaching, what is your advice for them? Any teacher that wants improvement will not keep doing the same thing the same way. So, teachers have to be open to learning. They should adopt different learning styles, do research and collaborate with their co-teachers. So many things are changing in the industry today. That’s why teachers in service should be updated so that they will not be out of place in the industry. So, they should be open to Continuing Professional Development (CPD). That is in forms of trainings, whereby from time to time, they go for training, make careful research and collaborate. I believe so much in collaboration. Teachers can learn from one another and it will go a long way to improve their teaching. Learners’ academic performance don’t reflect their competence at times, what reforms do think are needed in that area? I must say that according to an agreeable quote, “Exam is not a true test of knowledge”. The reform I want to suggest is this. Our subject based curriculum in Nigeria traps creativity and innovation. A lot of summits have been organised on how to reform the entirety of the Nigerian curriculum. We should be doing away with the British and American curriculum, building our own curriculum that suits the Nigerian learners to be creative and innovative. I believe that should bring about a reformation in the education system of Nigeria. Editor’s Note: The above is another edition of the “EduCeleb of the Week” project. Would you like be featured in one of the subsequent editions? Could you nominate someone worthy of being featured here? Click here to read the criteria and fill the nomination form. You may also send us an email via info@educeleb.com.